The IoT market is young – many companies are still scrambling not only to install but understand smart devices, sensors, and data. Without a roadmap, venturing into new technological territory can be an uncertain business. In this expert e-guide, hear from Tom Nolle, CIMI Corporation’s President, on how telecom providers can help shape that roadmap. 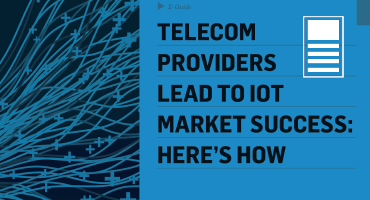 Learn about 6 core requirements for IoT market success, and find out how telecom providers are addressing these points.